Cape Town - Brexit does not bode well for SA consumers who are already heavily in debt and SA is on the eve of a perfect storm, which is going to affect everybody - especially the poorest of the poor, who spend more than 50% on food” cautioned Neil Roets, CEO of debt management firm Debt Rescue, on Friday. Roets said the fact that most consumers owed more than 75% of their monthly salary to financial institutions, showed just how dire the situation in SA actually is. 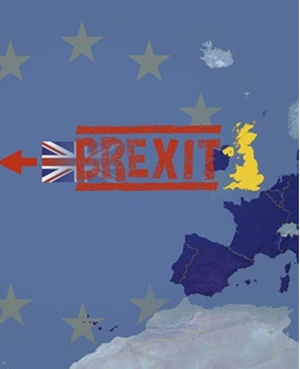 In his view, the decision by British voters to exit the European Union is going to have far-reaching negative economic consequences for South Africa and South Africans should prepare themselves for hard times ahead. “The United Kingdom is the biggest single investor in the SA economy and with the massive uncertainty about the actual impact of the UK leaving the EU, we can expect severe volatility in the markets and quite possibly a further slowdown in the economy," said Roets. Roets pointed out that virtually everything South Africans consume is transported by road and, therefore, one can expect the prices of commodities such as food to increase further still. On top of that increases in the fuel and diesel prices are predicted. Ian Wason, CEO of DebtBusters, said on Friday Brexit could just be the last straw that breaks the back of SA consumers overloaded with debt. He pointed out that the immediate impact of the Brexit announcement saw the rand drop 6% from midnight to Friday morning at 06:30. “A vulnerable rand impacts all South Africans, but those with high levels of debt will feel it most. In addition to currency volatility, SA would have to renegotiate its trade relations with the UK, which accounts for over 25% of SA’s total trade," said Wason. With food prices already under pressure - as a result of the worst drought in 30 years - high inflation and a weak economy, SA’s 2016 GDP growth is expected to be no more than about 0.3%, Wason pointed out. “If experts are correct that Brexit might eventually shave about 0.1% off SA’s growth rate, we can expect even harder times all round for South Africans, especially with regards to increased unemployment and inflation. If the rand doesn’t show a recovery, the SA Reserve Bank (Sarb) may be under pressure at its next MPC meeting to further increase the prime lending rate," said Wason. "This means all South Africans with vehicle finance, home loans, store accounts and any other debt linked to the prime lending rate, will be required to pay even more towards their debt, a consequence that many can ill afford at this time." Wason is concerned about the heavy reliance that many SA consumers have on credit. “The problem starts when living on credit becomes a way of life. Each time cash is tight, more credit is used and in the end, the amount of debt that has to be serviced increases to a point where consumers are left with little or no money to pay for everyday expenses,” said Wason. Business Unity SA (Busa) said on Friday of particular concern is the immediate impact of Brexit on the rand and local markets. "While Busa has previously expressed its support for the UK remaining in the EU, recognising the importance of trade with the EU, the long-term implications of Brexit on the local economy are yet to be fully understood," it said. "Busa will continue to monitor developments in this regard and stands ready to engage with government with a view to positioning South Africa appropriately." * Add your voice by sharing your debt experiences, debt-busting tips and insights. Have a question? Ask our experts. With the rand already under pressure, imported goods are going to significantly increase in price. Finance Minister Pravin Gordhan has reassured South Africans that the country's banking and financial institutions can withstand the financial shockwaves caused by the result of the Brexit referendum. London office-property values may fall by as much as 20% within three years of the country leaving the EU as businesses relocate and the economy stagnates.